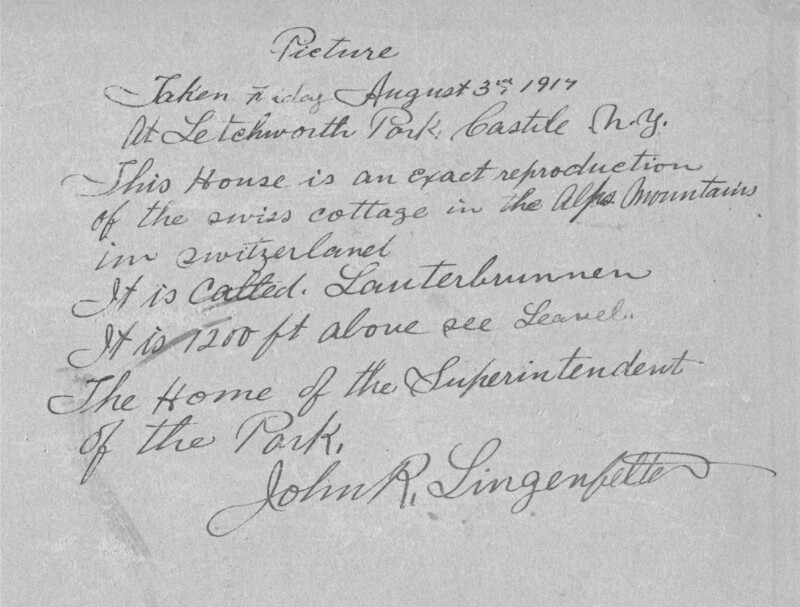 John R. Lingenfelter came to Letchworth in the spring of 1917 when he replaced J.O. Howard as Park Superintendent. Born in Maryland in 1869, Lingenfelter married Annie Gettermann in 1890. 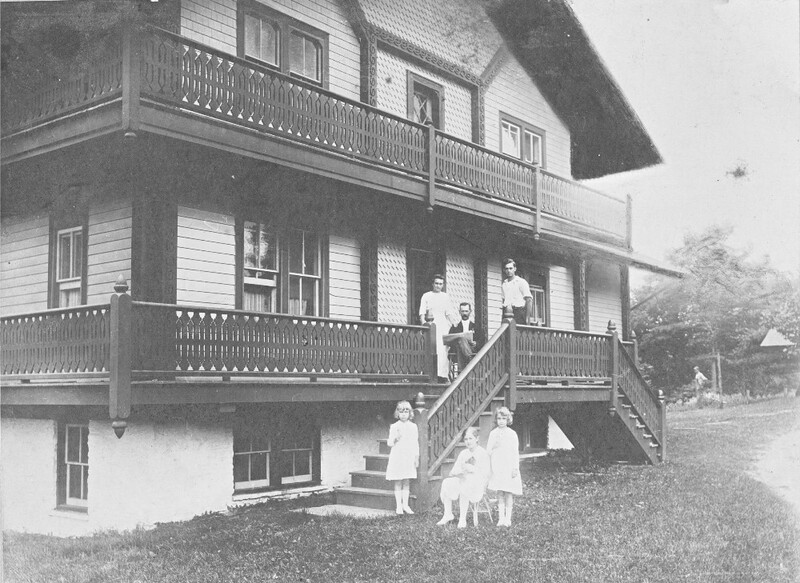 The family was living in Camden, Maryland in 1910 where John worked as a gardener for a private family. By the time the Park job opened up, the family was living in Washington D.C. It is not so easy to identify the girls on the lawn. The Lingenfelters had four girls. We are sure that Mae (11 years old in 1917), Ruth ( 9 years old) and Irene (7 years old) are the ones in the photo. 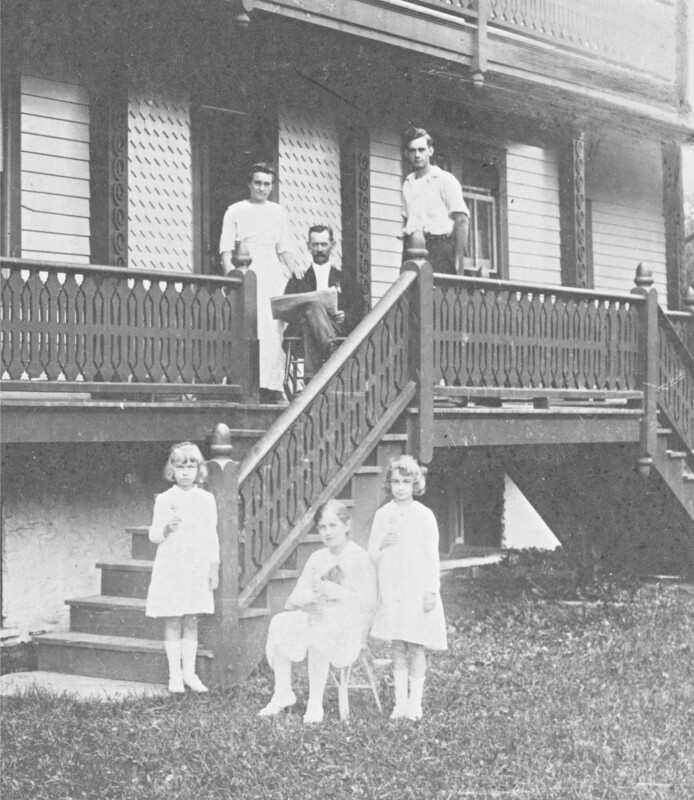 Caroline, who would have been 24 at the time was probably no longer at home and not in the photograph. The problem arises with the identification that was provided with the photograph. Someone, perhaps a descendant, labeled the girls from left to right as Mae, Irene, and Ruth. That doesn't seem to fit the apparent ages of the children. It seems more likely that it is: Ruth, Mae, and Irene. Perhaps a descendant of the family can help us solve this small problem. Below the photograph are two more images - an enlargement of the family, and a scan of the labeling found on the back of the mount. We thank John Thomas for sharing this view with us!